Microsoft revealed in 2016 that its mobile OS wouldn’t be a priority that year and in late 2017, executives reiterated that stance. Since that time, the company has only committed to releasing security updates and bug fixes. Soon, those will be coming to an end as well and Windows 10 Mobile will officially be laid to rest. In a recent update on its lifecycle FAQ, Microsoft revealed that it’ll end free support for all Windows 10 Mobile products including Windows 10 Mobile and Windows 10 Mobile Enterprise on December 10, 2019. Third parties or paid support programs may provide ongoing support, we’re told, but these won’t be publically provided updates. 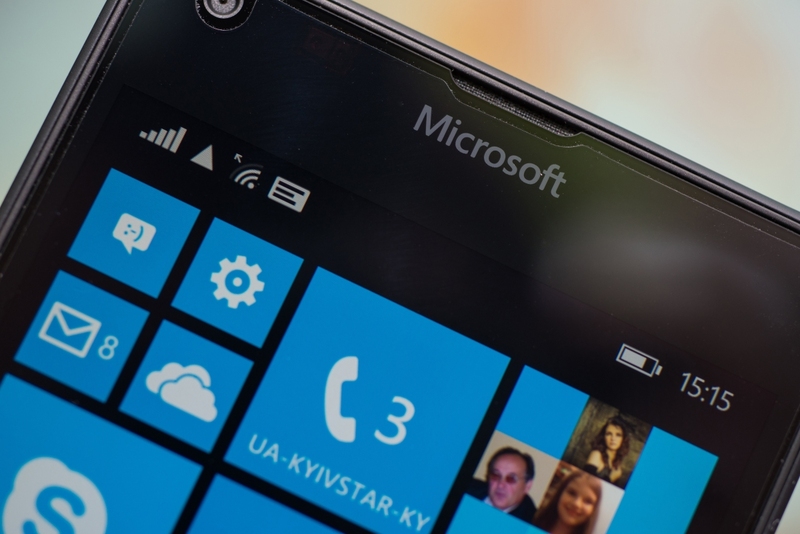 Microsoft ended support for Windows Phone 8.1 on July 11, 2017. The latest release of Windows 10 Mobile, version 1709, launched in October 2017 for most phones. Lumia 640 and 640 XL phones, however, were only supported through version 1703 and will see support ended on June 11, 2019, we’re told. You can still use your Windows 10 Mobile device after official support ends but it’s not recommended. Instead, Microsoft suggests moving to a supported Android or iOS device for your mobile needs. Maybe MS should work with Lineage in porting LineageOS to windows phone hardware so they won't go to landfill. At least for the sake of protecting the environment. Ok, my brother's Nokia works just fine for now, but where do You get Android distro for Lumia 540? Heck I'm still using 8.1 on two phone choices, Lumia 635 and 920. Beats the 2G Blackberry, I had before them. I wouldn't have 8.1 on my desktop, but not bad on a phone. That is once I downloaded an app to enable transparent tiles. On a desktop I don't want tiles at all. My next phone will likely be Android, regardless of how much I despise Google. Even if Microsoft brings a new phone OS to the table. I'm tired of their wishy-washy mindset toward their products. Google, Microsoft, Amazon. Doesn't matter what you use they all track you and sell info. I am an Android guy but at least Apple tries to push privacy on the surface. Just amazing. The decedents from Win/8 onward were created to allow an OS that has a common UI for the M$/Moible and the workstation. Now they abandon the root cause for the effort. Yeah, the Mobile wasn't a market success was it which raises the question "What end-user need was being addressed with the touch / tile UI and forcing it upon non-mobile devices?" Let me echo your words. That is the wishy-washy mindset I was speaking about. "Lumia 640 and 640 XL phones, however, were only supported through version 1703 and will see support ended on June 11, 2019, we’re told." Just because support was dropped in 1703, doesn't mean you can't install 1709. It just means they don't officially support your phone on 1709. I had a Win10 Lumia 650 for a couple years and it was a great phone. The live tiles and common UI with desktop was a great idea. It was also stable, productive, and just plain nice to work with. But MS really dropped the ball on the marketing and just left it out in the wind to die a slow death for no reason. And they kept half-assing their support for app developers and their app store...which meant developers just gave up making anything for Win10 phones. On top of that, they kept new & existing customers in the dark about the future of their phones and support. Even their ***** CEO Nadella wouldn't be clear on its future, usually giving meaningless & cryptic speeches about the future of anything coming out of MS, including phones. What a incompetent clown. What a tragedy for the phones, though. They could have easily competed against Apple & Android, but I still run into people who don't even know Win10 phones existed, which is a testament to how much MS failed in its marketing. Last month, I finally had to throw in the towel and settle for a Motorola Android with Oreo 8, because I was tired of having no decent apps. Android's ok, but the UI is nowhere near as elegant and well thought-out as Win10's was. And the damn ads drive me batty. As others have mentioned here and in different forums, I'm fed up with MS's wishy-washy commitment to its products. Over & over through the years, they've introduced great products/ideas and get people to buy-in to them...then MS abandons them and their customers with no explanation. I stopped trusting MS long ago, after being bit by this too many times.